Having trouble fitting in? If it's because you're pierced and tattooed and attend a prepped out conservative school far from urban areas, than you're on your own. 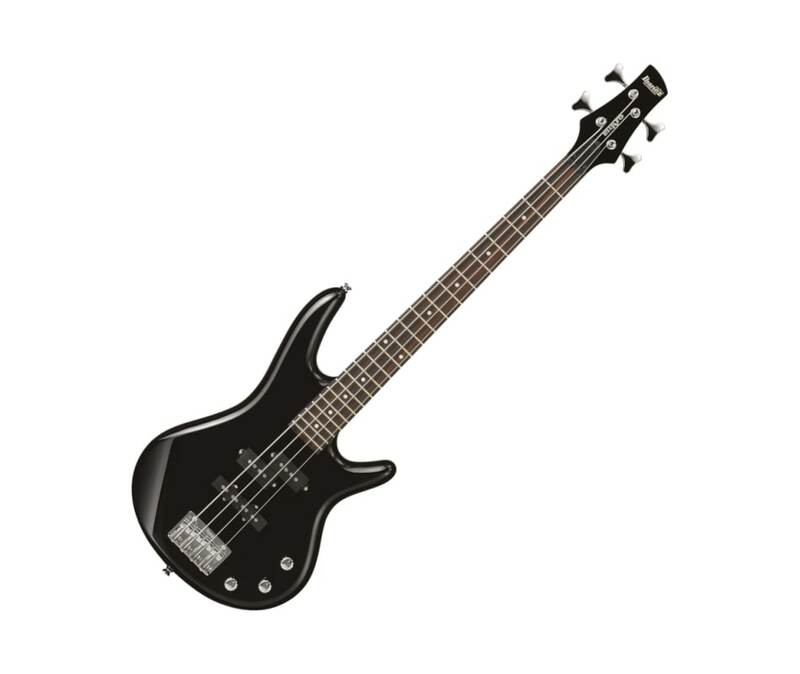 If it's because you need a smaller bass for the tour bus or running scales in cramped quarters the Ibanez Mikro is here to help. The Mikro offers anyone who needs a compact axe or the comfort of a smaller neck (most especially young rockers) a real alternative to small guitars that are really only toys. Provides the same warranty, high quality, and careful set-up as Ibanez's full-size GRG and GRX models.